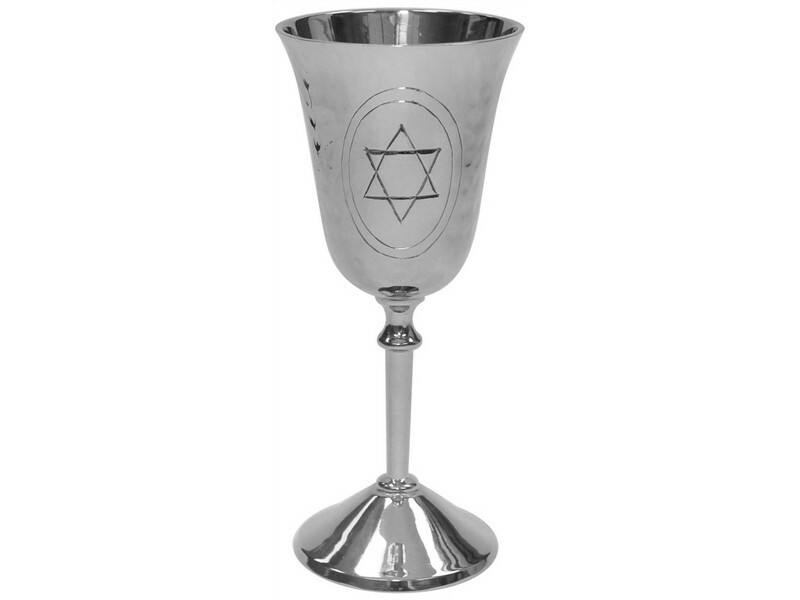 This attractive Kiddush cup will enhance your Kiddush ceremony and Shabbat table. This nickel goblet has a round base with a smooth leg. A star of David encircles with an oval is etched on its cup. A traditional and lovely piece, this Kiddush cup will take center stage on your table for Shabbat, holidays or any special occasion.